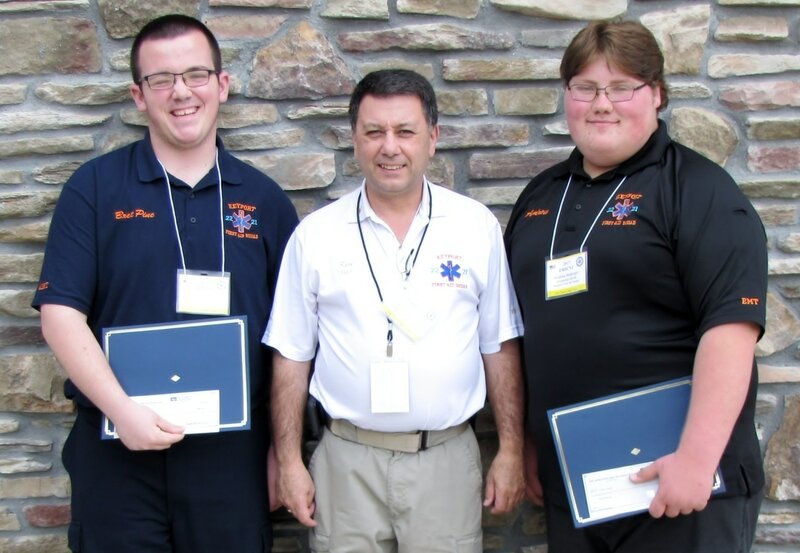 The EMS Council of New Jersey (EMSCNJ) has awarded 16 scholarships to young EMS volunteers. 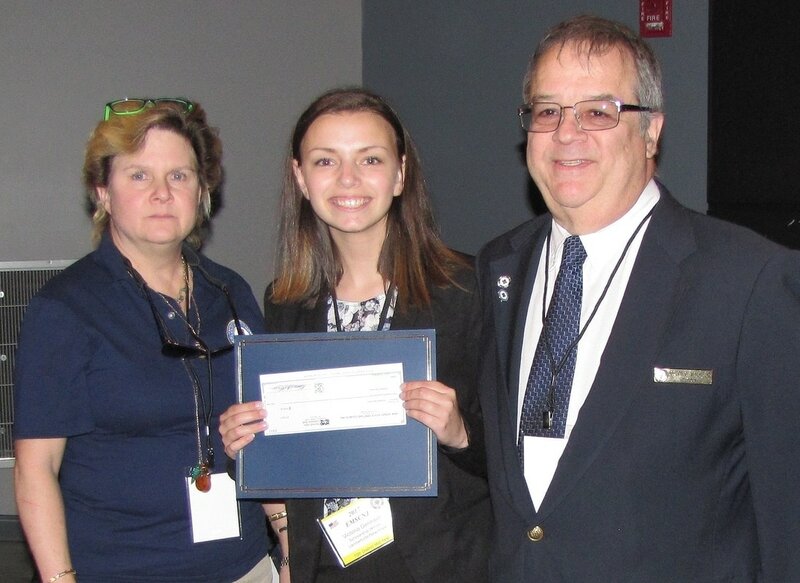 The $500 cadet scholarship is for qualifying graduating high school students who are cadet and/or junior members of EMSCNJ squads, and who plan to pursue college-level degrees. 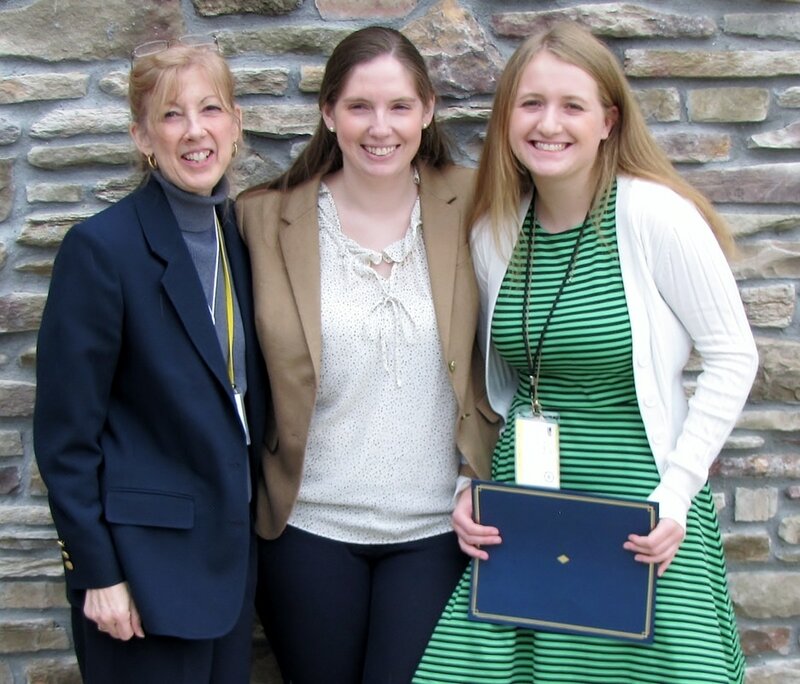 The Gail Lawrence Memorial Scholarship is awarded to EMSCNJ-affiliated volunteers earning advanced degrees in any medical field. 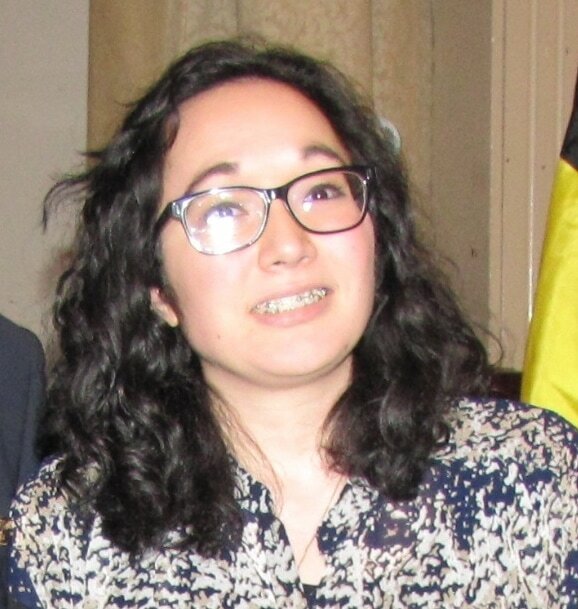 The $1,000 grant was established in memory of Lawrence, a mobile intensive care nurse, advanced practice nurse and educator with Rutgers University. EMSCNJ 12th District Vice President Edna Deacon congratulates scholarship winners (L-R) Sara Dorrothy of the Milton First Aid Squad, and Andrew Lopuch, Brendan Erickson and Jake Lepore, all of the Sparta Ambulance Squad. 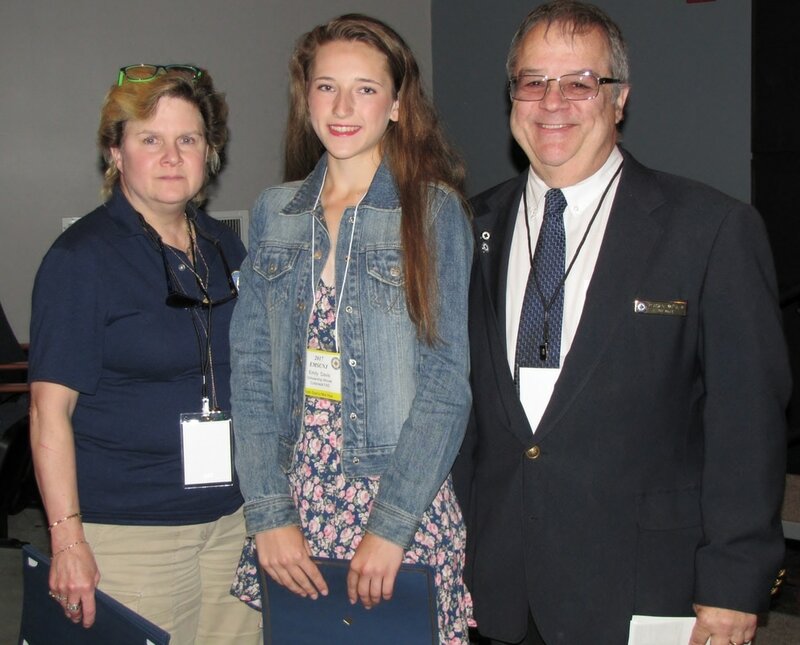 Colts Neck First Aid member Emily Davis accepts the award from Mary Claire Shiber, EMSCNJ cadet scholarship program chairperson, and EMSCNJ President Joseph G. Walsh, Jr.
Wayne Township Memorial First Aid Squad member Shannon Kuehm poses with Mary Claire Shiber, EMSCNJ scholarship program chairperson, and EMSCNJ President Joseph G. Walsh, Jr.
Kenneth Krohe, Keyport First Aid Squad chief and cadet adviser, congratulates scholarship winners Bret Pine, left, and Andrew Belanger. 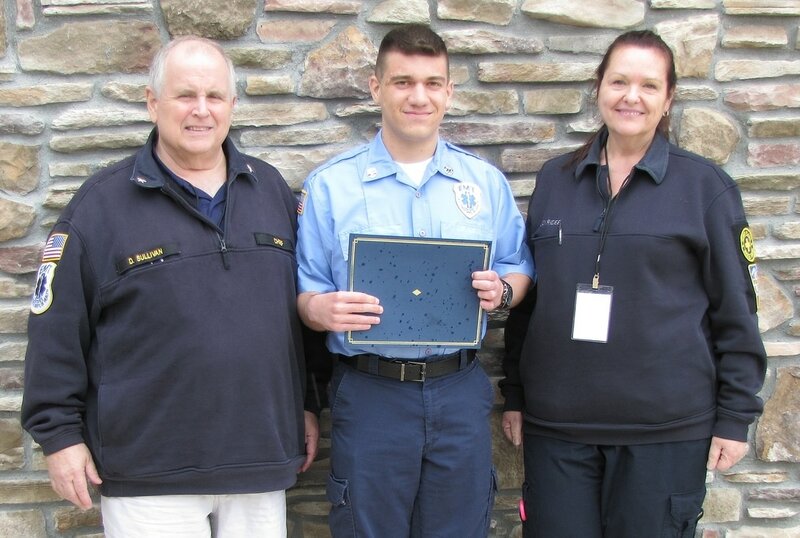 EMSCNJ 2nd District Vice President Dan Sullivan congratulates Scotch Plains Rescue Squad members David Lugara and Patty Buckridee, who accepted the scholarship on behalf of her daughter, Karolyn Buckridee. 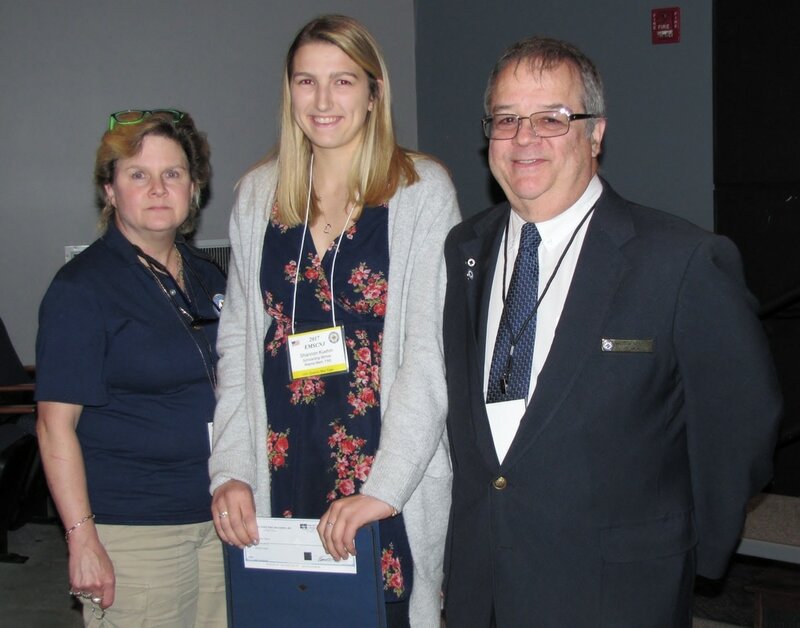 EMSCNJ 18th District Vice President and Dumont Volunteer Ambulance Corps member Alison Wallin congratulates scholarship winners Kaitlyn Oldewurtel (center) and Kaitlyn Rainey. Winners of the EMS Council of New Jersey 2017 Cadet Scholarship Awards pose recently with EMSCNJ officials during the award presentations. They are (clockwise from top left): Bret Pine, Keyport First Aid Squad; David Lugara, Scotch Plains Rescue Squad; Andrew Lopuch, Jake Lepore and Brendan Erickson, all from Sparta Ambulance Squad; Andrew Belanger, Keyport First Aid Squad; Mary Claire Shiber, cadet scholarship program chairperson; Emily Davis, Colts Neck First Aid Squad; Victoria Dennison, Lambertville-New Hope Ambulance & Rescue Squad; Sara Dorrothy, Milton First Aid Squad; Shannon Kuehm, Wayne First Aid Squad; Kaitlyn Rainey, Dumont Volunteer Ambulance Corps; and EMSCNJ President Joseph G. Walsh, Jr.